If fun, flirty, fashion-forward and fierce are all adjectives you'd use to describe your ideal bridesmaid dress then After Six Bridesmaid Dresses are for you! Their contemporary styles are rich and luxurious while exuding a playful, free-spirited essence.The Dessy After Six collection features dresses that you yourself would want to wear. Their fabrics, like chiffon, matte satin, charmeuse or nu-georgette, are soft and sophisticated, while their design aesthetic is young and modern. After Six Bridesmaid Dresses feature classic styles with modern touches such as cut-outs, pockets, pleats and patterns. Dessy After Six bridesmaid dresses also complement and flatter every body type, regardless of shape and size. So you can be sure that your entire bridal party will look and feel good in one of these gowns! Dessy also knows how important it is to have a spectacular bridesmaid dress without breaking the bank! 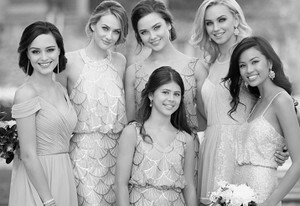 That’s why Dessy After Six are affordable bridesmaid dresses, without sacrificing style. Your favorite girls will look and feel amazing, while still staying within budget. 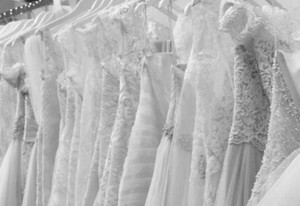 Shop our extensive collection and find the perfect style for your big day!